This panic device offers optimal safety and security to a building and its contents, while simultaneously providing peace of mind that all occupants can exit quickly and easily in the case of an emergency. It is made of hard and durable painted steel, which is not only strong and long lasting but also provides a high quality and professional looking finish. 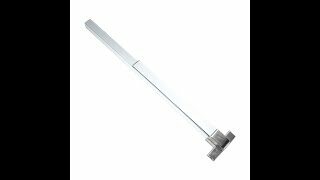 This model is a and is ideal for use in commercial and industrial properties. Best answer Hello Wayne, thank you for your question. An installation guide is provided inside the manual which is in the box with the panic bar. If you missed placed the manual please give our customer support team a call to assist you in getting another copy or sending one via email in PDF format. Best answer Hello Ian, thank you for your question. The panic bar does come with an external lock that can be installed that can be used to lock the lever with a key. Please see photo #3. Best answer Thanks for your interest in our products, Garry. Unfortunately, this product is no longer available. However, we have a few other panic bars to choose from. 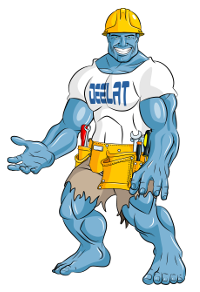 If you have a specific application that requires shorter bars that are keyed the same, call our sales team at 1-888-667-5776 or email at sales@deelat.com for assistance in selecting the right Deelat product.